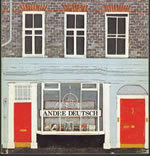 Are you a former member of Andre Deutsch Ltd staff? Then please email us, we are having a reunion in November and don't want you to miss out! was probably responsible for shaping some of the most important names in 20th century literature and publishing. His publishing house, founded back in 1951 along with his two friends Diana Athill and Nicolas Bentley, went on to become one of the most vibrant and exciting places to work in the 1950s,1960s, 1970s, and 1980s. Reviewers of the literary pages would always sit up when a book with the Deutsch colophon arrived on their desk. The names of the authors he published included Laurie Lee, Sir V S Naipaul, John Updike, Peter Benchley, Norman Mailer, Leon Uris, Molly Keane as well as his friend George Mikes. The children's publishing list was no less prestigious with names such as Michael Rosen, Quentin Blake, John Cunliffe, Ludwig Bemelmans and brands such as Postman Pat. Andre himself had a way with words and such was his reputation that as soon as you meet anyone who came across Andre, be they an Author, a member of staff (we became one big family), or his adversaries in business, they have an 'Andre story' to tell. As time is passing, it would be great if we could capture as many 'Andre stories' as possible. This is your chance to contribute. Please, send an email to mystory @andredeutsch.com and allow us to collate your experiences into a formal tribute to a great man who deserves to leave a legacy for us all to share.